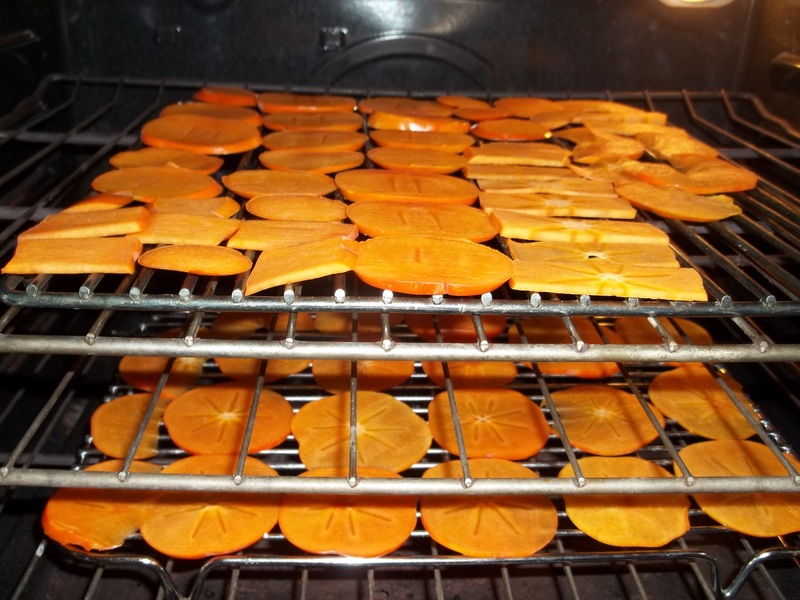 I’ve always thought of persimmons as that bitter or slimy fruit we use to make nominally good cookies once or twice a year. They are sort of plump and heart-shaped. Before they’re ripe they’re too bitter to eat; and after the first frost they ripen to a golden slime. 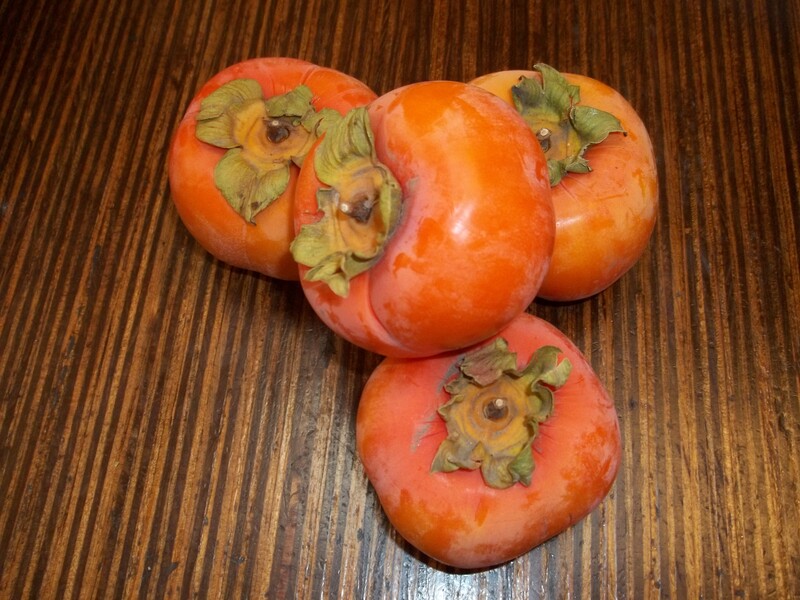 Unlike “regular” persimmons, you don’t have to wait for Fuyu persimmons to freeze before you can use them. They ripen in the fall and you can pick them off the tree and eat them like an apple. They’re sweet and crunchy and tasty! The problem – just like with most fruit – is that they all come at the same time. 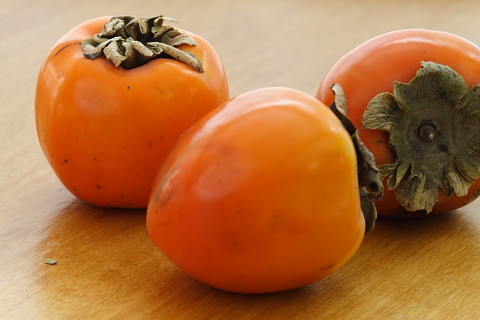 What do you do with a hundred ripe crunchy Fuyu persimmons? 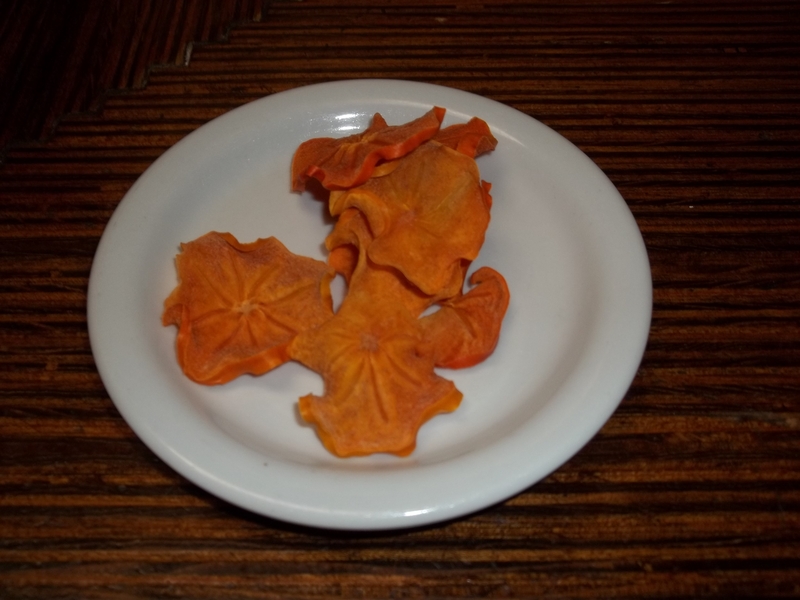 Last year we came up with the idea of drying them, and discovered a yummy treat that will keep for a long time. 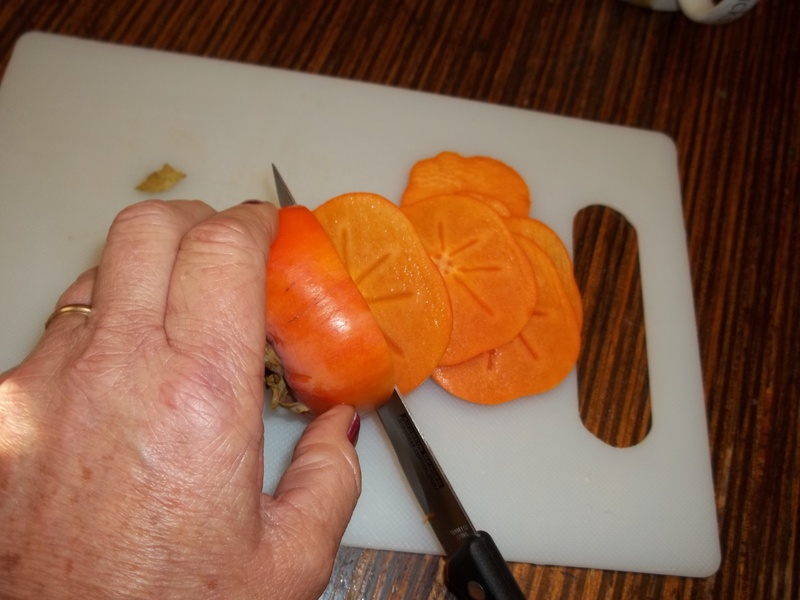 Wash and slice the persimmons. 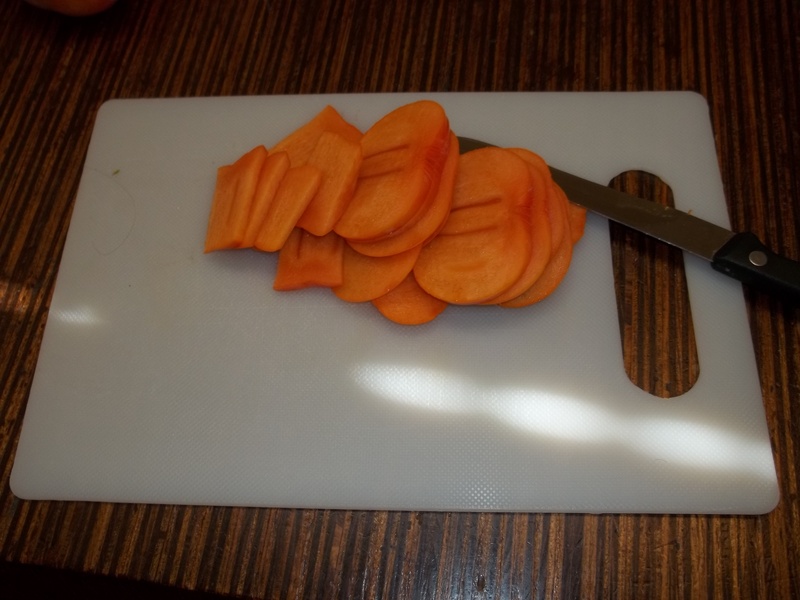 You can slice in any direction but if you slice them horizontally you’ll see a pretty star shaped design in the center. It will take about 2-3 hours for them to dry completely. 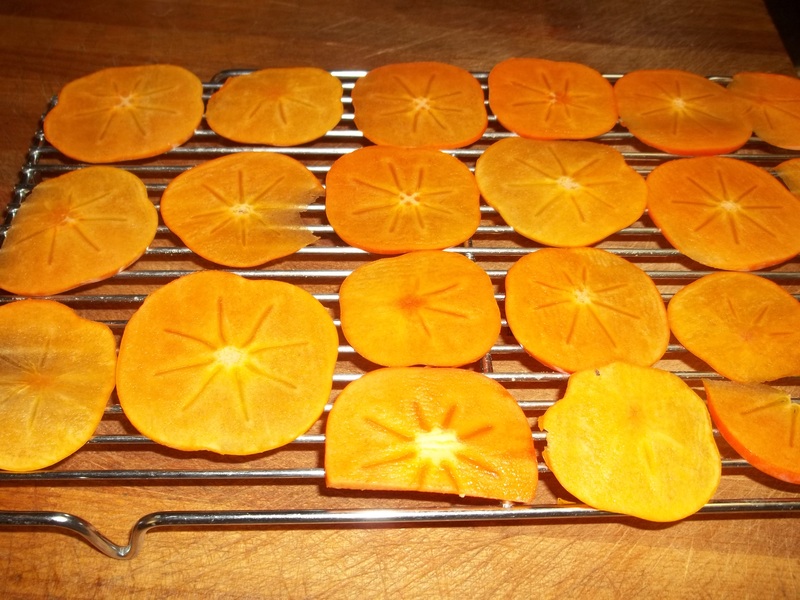 Check as the persimmons dry, they will shrink in size and you can move them closer together on the rack, and add new slices to dry. 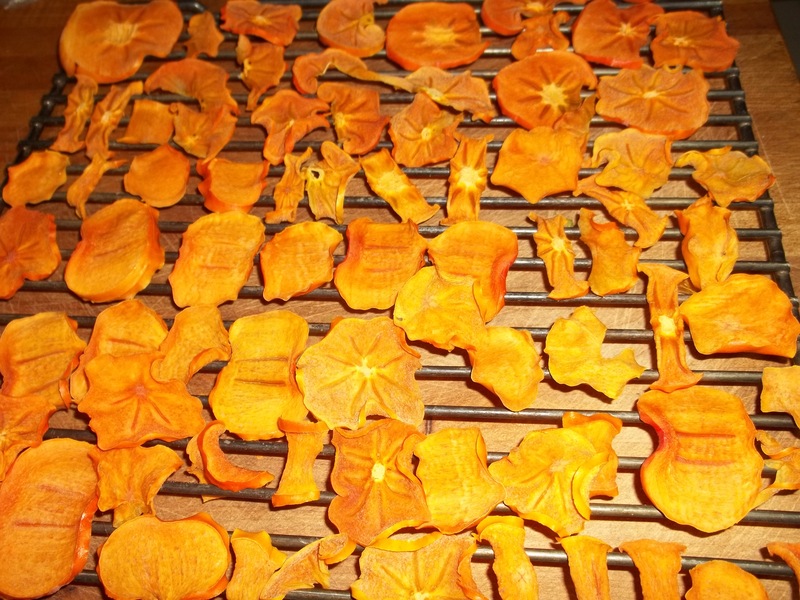 Remove the slices as they become completely dry and crisp. Allow them to cool completely at room temperature. Store them in an airtight container. They will keep for months and they’re a great nutritious snack! That is a great idea. I didn’t know there was a difference until Kathy brought them in. They were great.